About a month ago I half jokingly posted on Facebook offering a free newborn puppy session to anyone who might have a puppy for me to borrow. Boy did I hit the jackpot! A friend of a friend of mine has champion Italian Greyhounds and they just had a litter of 4 puppies. She was interested in having me photograph them so I squealed with delight, I mean, I jumped at the opportunity! You all know how much I adore newborn humans. But OH MY GOODNESS I will tell you this was like the best day ever. The cuteness was sickening and the puppy breath was perfection. See, I grew up going to dog shows with my parents who showed and bred Basenjis, which are also sight hounds just like Italian Greyhounds so photographing and handling these precious babies really brought me back to that part of my life. Anyway, if you need to smile, just take a look at these images. I'll say I was melted into a puddle during this session. Thanks so much to Lynn Partridge of Alura Italian Greyhounds for this fabulous opportunity! If you or anyone you know has a puppy, puppies or kittens (y'all know I NEED to do kittens now) please contact me here! This couple has really great taste—right up my alley (I guess that's why they chose me, right!?) Anyway, I was excited when they said they wanted an early morning winter session for their maternity photos—it's rare that people are willing to get up so early to catch that dreamy morning light that I love so much. But let me tell you...it was COLD. In fact, it was the coldest morning of the winter! I had toe warmers and everything! But these two just so happened to have had a 1-year anniversary/trash the dress shoot in the snow back when they lived in Indiana (see, I told you they were cool)! So they didn't bat an eye at the cold temperatures. We had a lovely morning chasing light around the farm. Be on the lookout for future blog post on their precious baby boy's newborn session! If you like what you see here and you want to learn more about booking your maternity and newborn photography with Dear Lissie, contact Mel here or call her at (864) 301-1002. This sweet chunk was just 5 days new when I photographed him. He was just so sleepy, squishy, smily and sweet! You've seen him before, only still in mama's belly, at their maternity shoot, here. This strapping fella, at over 8 lbs, has the best boy name I've heard in a while—Theo. It just suits him. He was so good and easy for me and even let me pose him in a little red wagon (with mom and dad's hands spotting him and holding the wagon for safety of course)! I hope you enjoy this sweet session—I know I loved every moment of it! If you like what you see and you'd like to find out more about my newborn photography, contact Mel here or call her at (864) 301-1002. The opportunity to photograph multiples makes me giddy! I was lucky enough to photograph another set last year (you can view that here) so I was thrilled when I was contacted to photograph these precious babies! A special note to anyone who ever wants to tackle photographing newborn twins...GET AN ASSISTANT! I had the pleasure of having a fellow photographer assist me with this shoot. She helped me keep them calm, aided in posing and spotting them, noticing little things I otherwise wouldn't have (without an extra set of eyes), and keeping me encouraged! While this shoot wasn't easy, it was really fun and really rewarding. I'm so happy with the sweetness portrayed between these two angels. I look forward to photographing multiples again! If you know someone expecting multiples and are interested in finding out more, call Mel at (864)979-5278 or email her here! This little lump of sugar was so much fun! At around 9 pounds, her squishiness was pretty irresistible...as was her cheeky grin, which she was more than happy to show off! This mama loves all things black and white so we kept to a cool, neutral color pallet with a touch of girlie. I loved the texture of the rug in her beautiful nursery, so since this was an in-home newborn session, I was able to utilize it! 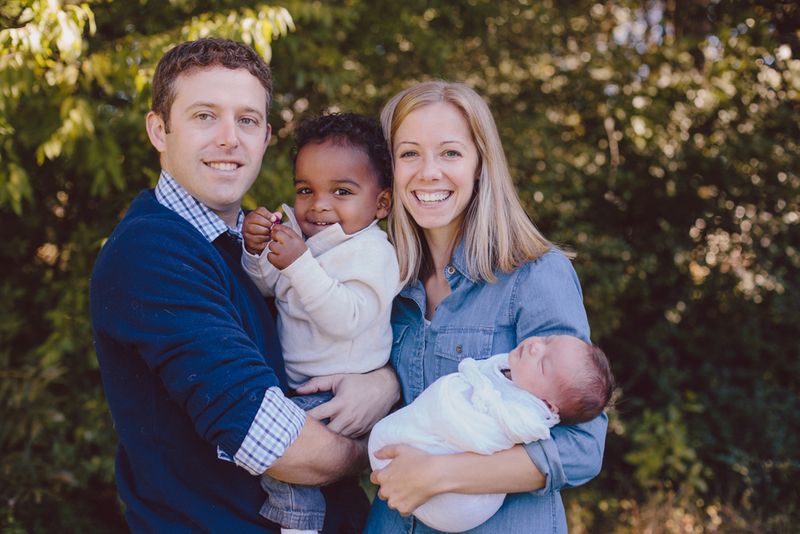 Even though baby Wren was this family's first child, she's definitely not their first baby. They have 2 others, one white lab and one black lab and they are a very big part of their lives! You'll notice the black lab (the young boy) was like "what the heck is this thing," while the white lab (the seasoned pro) welcomed the snuggles. As a side note, I'm always happy to entertain the idea of incorporating man's best friend into newborn shoots, however, safety is of my upmost concern. These pups must be extremely trustworthy, calm and well trained. I also prefer to keep the baby swaddled tightly to prevent any flailing limbs that might make a doggie nervous. These 2 pups were the perfect candidates! If you like what you see and you are interested in booking a newborn session, call Mel at (864)979-5278 or email her here. I LOVE maternity sessions. I had a lot of fun with the Caruso's. We met out at the farm and casually walked around taking pictures to celebrate Karla's growing bump! My favorite part (and a rare occurrence) was that baby Caruso decided the he/she wanted to be a part of the action! While snuggling in the field, he/she started moving up a storm. I could see the baby rolling and poking around even through the lens. You can see it in one of the pics below—that round lump is a head, elbow or something saying hi! It's also so fun when a couple decides not to find out what gender they are having until birth. It's a great surprise for them AND me! 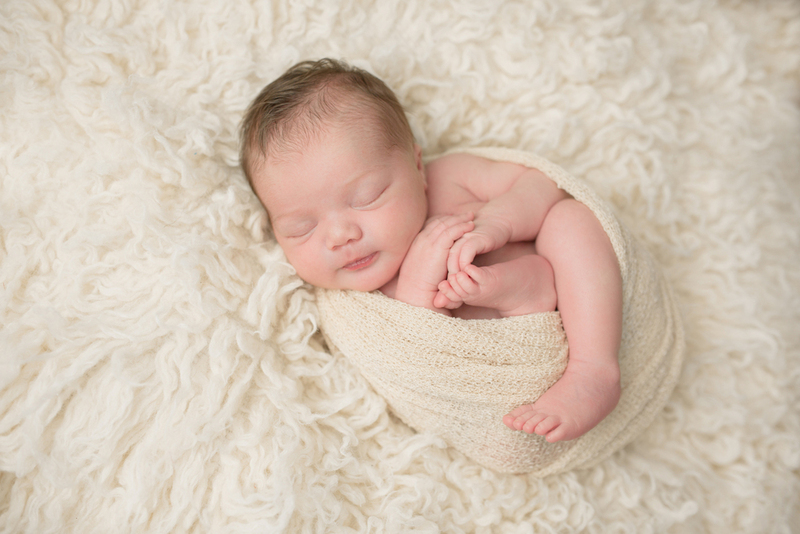 I can't wait to meet this little nugget in a few short weeks for a newborn session! If you're interested in booking a Maternity and/or Newborn session, call Mel today at (864)979-5278 or email her here! I've been beyond blessed to have gotten to know this sweet family over the past few years. One thing that makes them so special is their huge heart for adoption. One of the very first newborns I photographed was baby Jayden. I remember leaving that session with butterflies, thinking, "this really might be the niche I've been looking for." Since then, I've done a few family sessions with them. Right around the time Jayden was 18 months, this family received the most exciting news. They were matched to adopt a baby girl! Everything happened really fast but boy was I thrilled when I got the call to do Karris' newborn session. I couldn't be happier to be able to capture this family as they've grown and changed over such a short period of time! If you're interested in booking a newborn session with Dear Lissie Photography, contact Mel today at (864)979-5278 or email her here! Hey guys! It's still me! Melissa, or Mel to a lot of you. For a while now you've only known my photography business as Mel Nocks Photography (for the sake of this post, MNP). Well, now you'll also know me as Dear Lissie Photography. Until now, MNP has encompassed everything I photograph; weddings, newborns, families, corporate, etc. 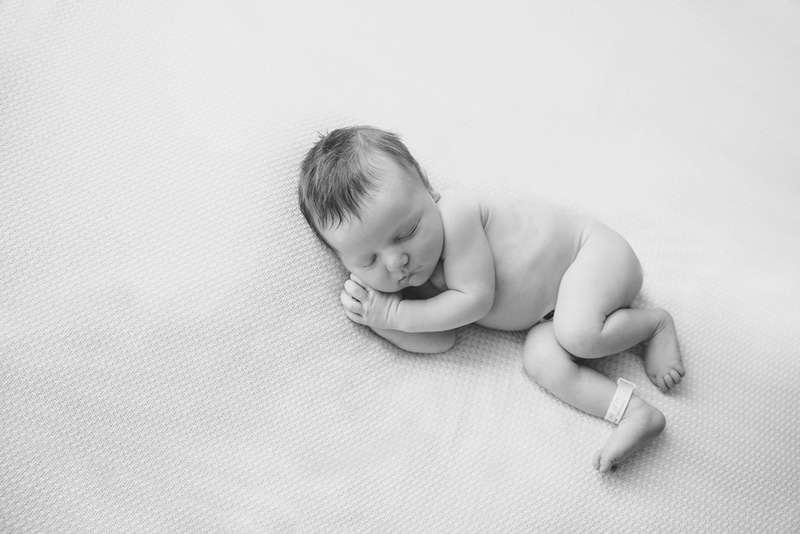 Through learning about myself, my clients and my company, I've discovered that there is an incredible difference between photographing weddings and photographing newborns (or children or families). I've also discovered that my heart for child-related photography is growing and flourishing beyond what I'd ever imagined. I wanted to create a new home to cultivate this growing passion for me and a special place for these clients. Welcome to Dear Lissie. An incredible amount of thought, reflection and prayer has gone into creating the name and premise behind this new brand. You can read all about how the name was born here and all about the logo and icon here. I want to be clear, Mel Nocks Photography is NOT going away. It is still my "parent" company and still very dear to my heart. I will continue to refine MNP as a more sophisticated brand that will cater to primarily wedding clients. And I'm excited for that as well! I can't even begin to express how thrilled I am to be sharing Dear Lissie with my clients. It's a big change in many ways but I'm certain that the best is yet to come. I've been sitting on a whole lot of new work, waiting for the launch of this new website. So get ready to be inundated with tons of beautiful bellies, newborns, babies, children and families!